← Saturday Workshop Series: When is a Novel NOT a Novel? 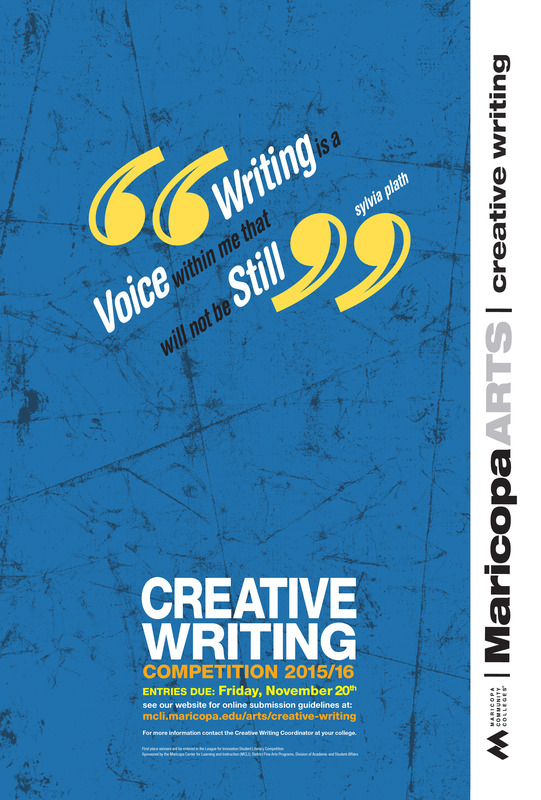 MCCCD Creative Writing Competition Now Open! The district wide Creative Writing Competition is open for entries. The winning entries go onto the national competition hosted by the League of Innovation. At both levels the winning students will win cash awards and be published. At the district level we publish a very nice paperback book of all first through third place entries. Everyone at GCC encourages you to enter! One-Act Play/Script – 3,000 words including stage direction and production notes. Entries now close at 10:50PM on Friday, December 4, 2015. This entry was posted in The Traveler and tagged competitions, The Traveler. Bookmark the permalink.